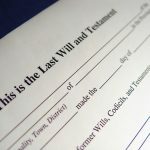 Many people choose to use a trust to distribute assets to loved ones instead of, or in addition to, leaving the inheritance via their Last Will and Testament. 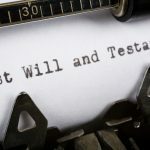 Along with allowing lifetime gifting, holding assets in trust for a beneficiary can also help protect inherited assets from potential threats, stagger the distribution of an inheritance, and help an estate avoid probate. If you are the beneficiary of a trust it means that you are entitled to benefit from the assets held by the trust according to the terms established by the Settlor (creator of the trust). The Settlor also appoints a Trustee to oversee the administration of the trust, including the distribution of assets to beneficiaries at times designated in the trust. What happens though, if a Trustee isn’t distributing assets and doesn’t provide an explanation? 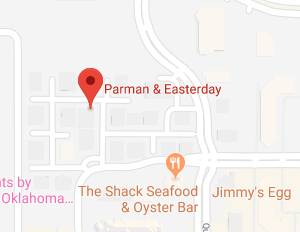 The Oklahoma City trust lawyers at Parman & Easterday explain what a beneficiary can do if the Trustee of a trust is non-responsive. A trust is a legal relationship where property is held by one party for the benefit of another party. The person who creates a trust is referred to as the “Trustor” (some attorneys use the term “Grantor” or “Settlor”). The Trustor transfers property to a Trustee, appointed by the Trustor. The Trustee holds, manages, and invests that property for the trust beneficiaries. The Trustee is also legally required to administer the trust according to the terms created by the Trustor. The Trustee is in a fiduciary position, meaning that he/she must treat the trust assets with the utmost care, using even more caution than he/she would with his/her own assets. Unless a trust term is illegal, impossible, or unconscionable, the Trustee cannot deviate from those terms when administering the trust. Consequently, if the trust names you as a beneficiary and the trust terms direct the Trustee to distribute trust income or principal to you pursuant to a schedule, the Trustee is legally obligated to do so. The confused Trustee. All too often, the problem boils down to the Trustee not understanding the terms of the trust and/or the Trustee’s duties under the trust. Trustors frequently appoint someone close to them as Trustee despite the fact that the individual has no background in finance or law. This often results in a well-meaning Trustee, but one who doesn’t really understand his/her obligations as Trustee. The shady Trustee. Of much greater concern is the Trustee who isn’t distributing assets as required because there are no assets left to distribute. 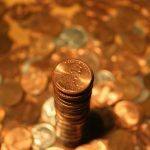 The Trustee may have co-mingled funds, or embezzled assets, or made risky investments that resulted in the loss of trust assets. The lazy Trustee. Lazy might be a bit harsh, but sometimes a Trustee simply doesn’t prioritize his/her job as Trustee which results in missed distributions. 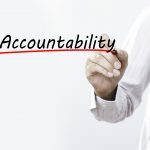 If the Trustee is not a professional, he/she probably has a full-time job and/or family and may simply not have the time that is truly required to properly administer the trust. The DIY (“Do It Yourself”) Trustor. If the Trustor tried to cut corners or save money by going the DIY route, it may have resulted in vague, conflicting, or confusing trust terms that cause the Trustee to be unsure about when and how to distribute trust assets. 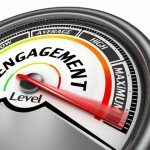 The good news is that as a beneficiary of a trust you have a variety of legal rights that can be enforced by a judge if necessary. Primary among those rights is the right to receive distributions from the trust according to the trust terms. Before resorting to litigation, it is always wise to attempt to contact the Trustee, in writing, and request/demand the missing distribution(s). If the missing distribution(s) are not forthcoming, it may be time for legal action. A court can order the Trustee to make a distribution and order an accounting of trust assets if the court deems it necessary to ensure that no wrongdoing has occurred. You may also wish to pursue removal of the Trustee if it becomes clear that the Trustee committed wrongdoing or is incapable of fulfilling his/her duties and responsibilities. For additional information, please join us for an upcoming FREE seminar. 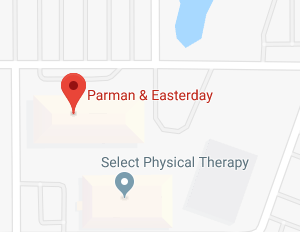 If you have additional questions or concerns regarding your rights as a beneficiary of a trust, contact the experienced Oklahoma City trust lawyers at Parman & Easterday by calling 405-843-6100 or 913-385-9400 to schedule your appointment today.